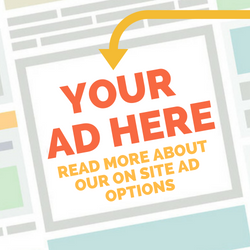 Our website has various on-site advertising options to help you promote your brand and/or services – from display advertising starting from $40 per week, to content contributions. If you are looking for information on submitting your job vacancy, please visit this page. Do Good Jobs is the #1 ethical jobs board in New Zealand, and increasingly an information hub for the not for profit sector nationally. Advertising with Do Good Jobs is a smart way to connect with NZ’s social sector – reaching a highly targeted and passionate audience. Our audience is a niche market of Kiwis wanting to help change the world. Our site is visited by over 85,000 individuals each year, who view over 1 million pages including our job board, volunteer roles, and blog. On average we have 16,000+ visits and more than 150,000+ pageviews per month. The site is frequented by senior-level managers of medium to large not for profits in New Zealand, as well as individuals engaged with the sector, seeking employment or volunteer positions.